We are glad that you have found us! 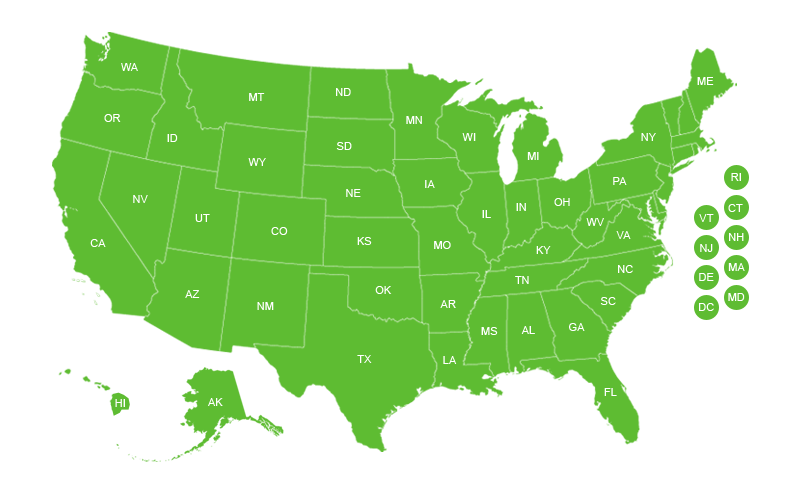 We are proud to offer you fast, reliable and affordable temporary and permanent dumpster rental services in all 50 states. We understand that everyone’s needs are different. Our temporary roll of dumpster rentals can be used for a home project or for a construction job site and range in size from 10 cubic yards to 40 cubic yards. Our permanent dumpster rentals are for scheduled weekly services for your business and range in size from 2 cubic yards to 8 cubic yards. Your permanent dumpster rental can be picked up once every other week or as often as 6 days per week. Please click on your of residence where by entering your zip code you will be provided with a list of available dumpsters including dimensions and capacities to help you select the best dumpster for your needs. It is our privilege to be your one stop shop for all your dumpster needs.